Have you ever looked around at your kitchen cabinets and thought, “I need a remodel”? As trends change, it’s only natural to want to keep up with the times and keep things current in one of the most used rooms in your home. Still, sometimes the budget simply doesn’t allow for a full-scale remodel. At times like this, it would do you well to consider new cabinetry, and we’re going to tell you why. At Burns Flooring & Kitchen Design, we know the importance of a kitchen that is well laid out and easy to use. It can mean the difference between a kitchen that is functional, and one that isn’t. And nobody wants a dysfunctional kitchen. We have design specialists standing by at all three of our showrooms, two located in Winter Haven, FL, and one located in Lakeland, FL. We invite you to stop by and allow them to discuss your current needs and tell you what we can do to help. Cabinets have so many great uses. Having extra storage around the house can do wonders for keeping your rooms clean! Burns Flooring and Design offers you hundreds of ways to organize your home. Homeowners can have their favorite cabinet systems delivered fast in Lakeland, Poinciana, and Lake Wales. You can shop for affordable cabinets in different styles. Each has its own function to fit a variety of lifestyles. Even spaces that don’t traditionally feature cabinets can use extra storage. And savvy shoppers looking for a deal can enjoy our low prices everyday. You can even request our fast installation service. There is no need for long waits with flexible scheduling and an easy appointment system. Simply let us know when you are free and our installers will bring organization and style to your home in no time! If you have needs such as appliances that are in the wrong place, hard to get to or just worn out, it could be that you actually need a full remodel. However, if you’re looking to keep your design current, replacing your cabinets could be just what the doctor ordered. You might not think such a simple procedure could make a big difference, but we assure you, it can. Once you’ve had a chance to look over some of our demos and display models, we’re sure you’ll see a big difference. You see, it’s not just about replacing a few cabinets. You can change the color, the placement, the inner shelving, the hinges and handles and so much more. You can even move them around your kitchen, remove some or even add a few, as room and design allows. Mix and match. There is no need to be predictable with your choices. Mixing open cabinets and ones with doors has become a popular design technique in modern homes. You can even choose different materials and colors! Match your plates and cups to your cabinets with glass doors for a cohesive look. Or choose contrasting colors to make a statement. Whatever your design aesthetic is, we can find the right match for it! Play with color. Cabinets used to be available in a limited number of neutral colors. Now you can order your storage spaces in any color you can think of. All of our products feature paint with high quality pigments. You get rich, saturated colors that make a statement. You can use this in many ways. One of our favorite suggestions is to pick contrasting colors that pop. Think red cabinets in a neutral colored room or black cabinets in a brightly colored space. There are just so many ways to use cabinet colors in an interesting way! Choose decorative handles. One of the hottest design trends is using unusually shaped handles for cabinets. There are more designs for handles than there have ever been before. 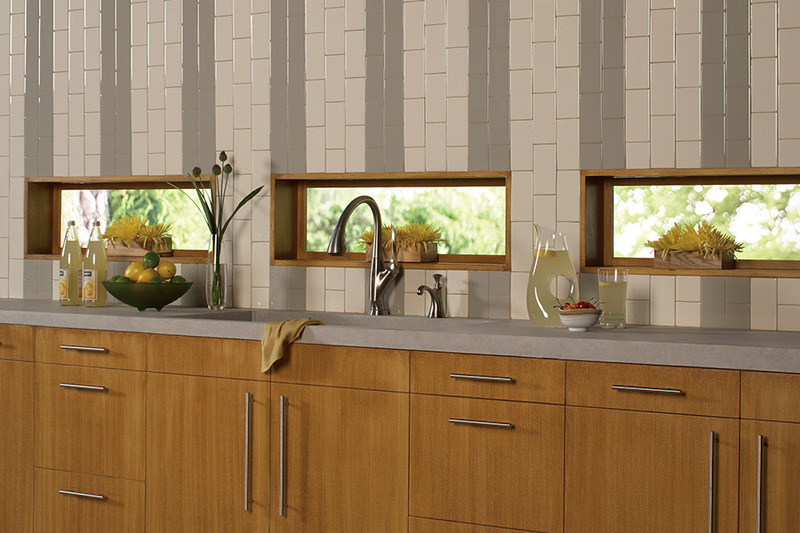 Geometric shapes in different materials can add a modern twist to your cabinet system. Bright colored knobs can create contrast. Porcelain handles add a delicate touch to a powder room. There are plenty of ways to take your interior design to the next level! You can also ask one of our design specialists about cabinet refacing, which might be an even better option for your space. There are stipulations for this procedure, however, all of which can easily be explained. Be sure you know what it is about your existing cabinets that you’re not satisfied with, as it’s one of the best places to start. It could be that you have limited space, or the space you do have isn’t set up in a fully functional way. You can’t be too specific when it comes to nailing down what you want. It’s actually the best way to lock in a budget that works for you.